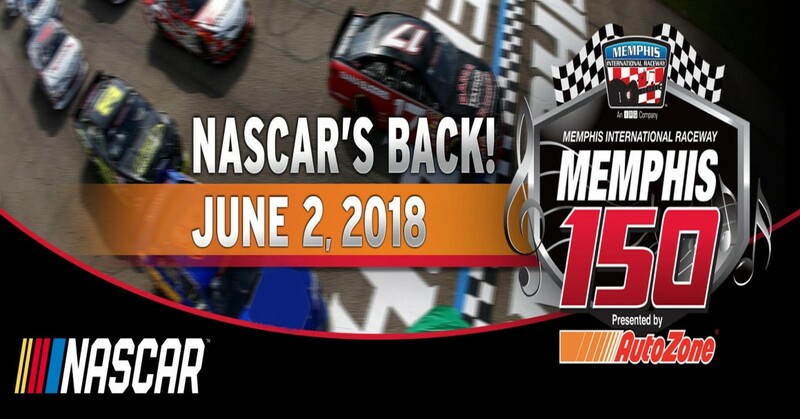 NASCAR K&N Series visits Memphis International Raceway on June 2, 2018. NASCAR returned n 2017 with the debut of the K&N Series and will be back for another year. Raceway will feature practice, qualifying and Race all in the same day! The full event schedule will be released once finalized. The event will offer the VIP Driver / Meet and greet again in 2018 as it was sold out in 2017 and a big fan favorite! Pit passes will be available to those that are 18 and older. Lunch with the drivers - incudes meet and greet, lunch, access to VIP tent hospitality during the course of the day. Shaded area for that time to time break in the action.